With Born of the Gods spoilers on the horizon, I’d like to take a look back at some of the cards that have slowly gone down in price, and point out that I am a big advocate of patience. 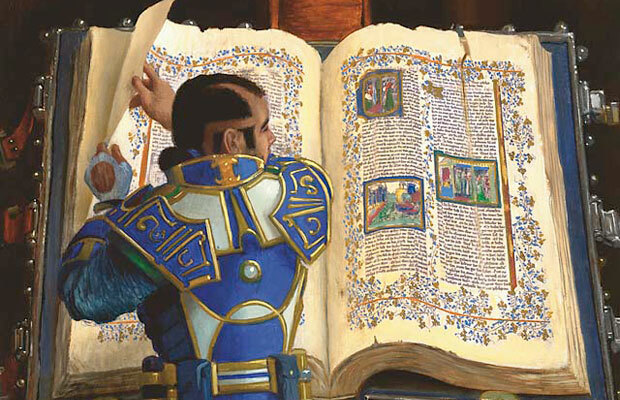 For those of you who don’t want to re-read something, the short version is that if you can wait on acquiring a card, the price will almost always go down, especially for cards that have very high initial prices. As a primarily casual player, I’m more than happy to be patient on picking up cards for decks or cubes at 50% (or less) of the price than the card debuts for. As always, if you require a card immediately, it’ll usually cost you more. There’s a different art required for determining when a card will go up, and that’s something we will discuss soon. 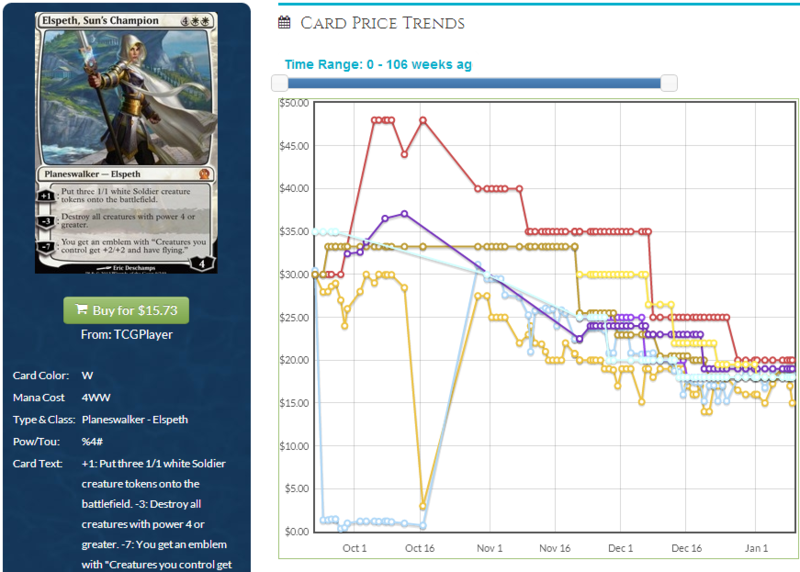 Let’s start with the poster children for initially high prices that almost always go down over time: Planeswalkers. 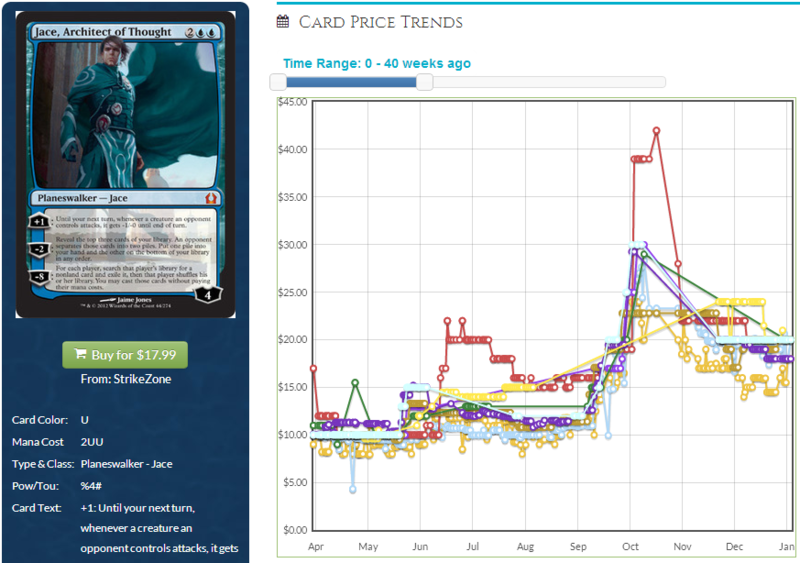 Elspeth, Sun’s Champion: Look at this graph. She was over $40 at the beginning! I personally opened two early on and sold them each for $25 to buylists. She shows up occasionally as a one-or-two-of in some control lists, and while she’s fantastic at that, she doesn’t see enough play to keep her over $20 in the long term. Where she does see play is all over the place in casual formats, and this being her third incarnation, I imagine there are some all-Elspeth decks running around. (Chandra and Jace have her beat at four each.) She’s consistently good in token decks, board-wipe decks, etc. I like her long-term chances. I doubt she’s hit bottom yet though, and I’m going to wait till she does before picking up what I need. 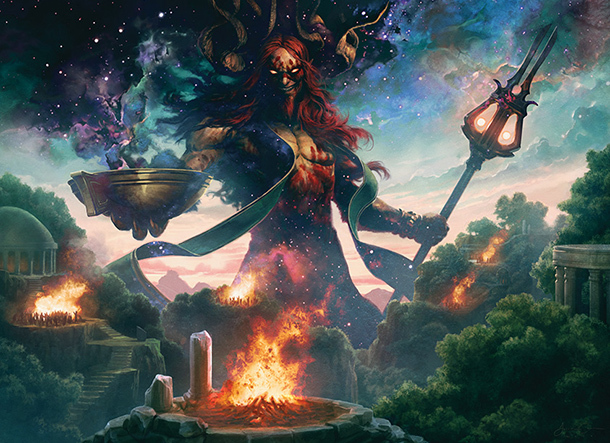 Xenagos, the Reveler: Once $30, now pushing $10, he looked like he’d slide right into G/R Domri decks with an endless stream of tokens and mana acceleration. Again, though, he’s seeing just a smidgeon of play and has fallen faster than Elspeth, since he’s best in a creature-heavy deck. 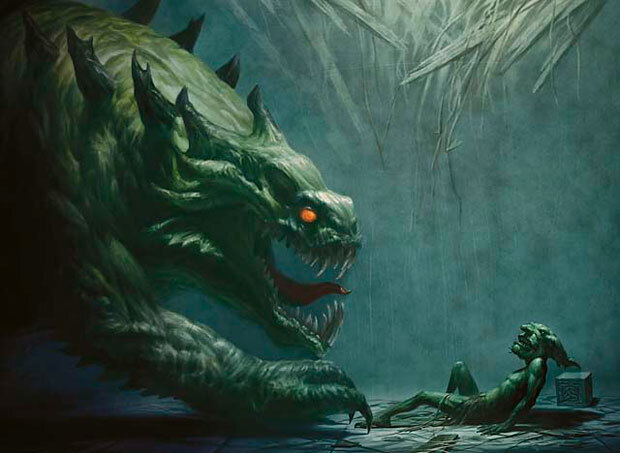 Where he’s really going to shine is in casual decks that love creatures. His ability is an upgrade over Gaea’s Cradle! You can abuse/re-use Cradle easier, but this level of mana ability is a rare and wonderful thing. Xenagos is pretty affordable at this point, and I think we’ve found his floor. It’s difficult to have a planeswalker stay cheap. Tibalt is the exception–even Chandra Ablaze has found her price climbing upwards. Master of Waves: An interesting case. 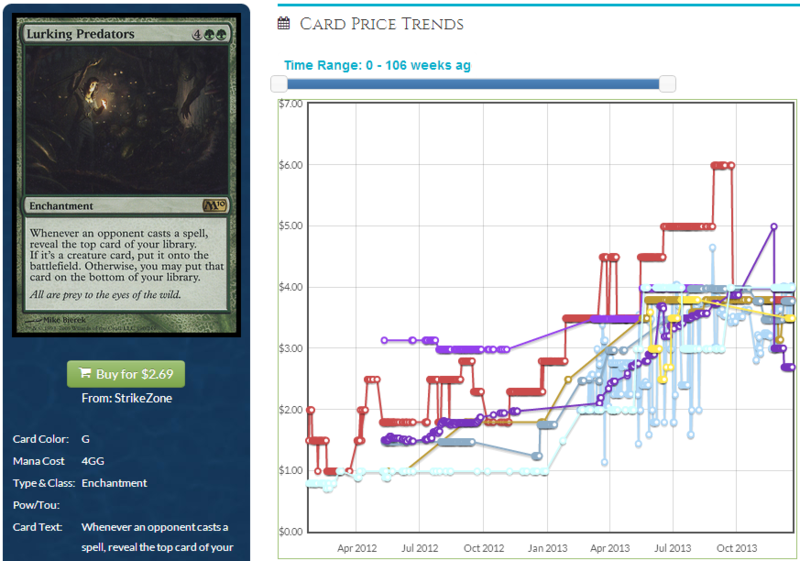 He was not very expensive, and then the blue devotion deck blew up, and now he’s creeping back downward. I really like it as a pickup in the $10 range, since I believe that the devotion deck will get some fun tools with Born of the Gods and Journey into Nyx. As an aside, I don’t believe that devotion decks will be big in a year. I think there will be another mutlicolor block, since that seems to be the pattern set. Return to Alara? Nonetheless, I’m looking to pick up devotion cards now at a low point, waiting for it to blow up again. Thoughtseize: Wow. This was a $70 card! The new printing was around $30 at release, and now is $15 or less. There is HEAVY speculation that this price will go up in Modern PTQ season, but I’m not convinced. The printing of this at rare means that there are swarms of copies out there, not to mention the Modern players who already have their playset. I should check prices a lot more than I do. I suffer from a problem of price memory: I know what a card was worth at a certain point, and I am not always diligent in checking prices in the moment. In this, I am not alone. It’s about more than being on top of whatever the latest price is. It’s about recognizing that because a card had a particular price for a while, I remember it as being that price…even when it’s not. As someone who’s been playing Magic for years upon years, sometimes I’m really taken aback by what some prices have gotten to. I sold 100 copies of Hymn to Tourach to assorted buylists last year, and I can only laugh when I see Fallen Empires packs selling for more than a dollar. 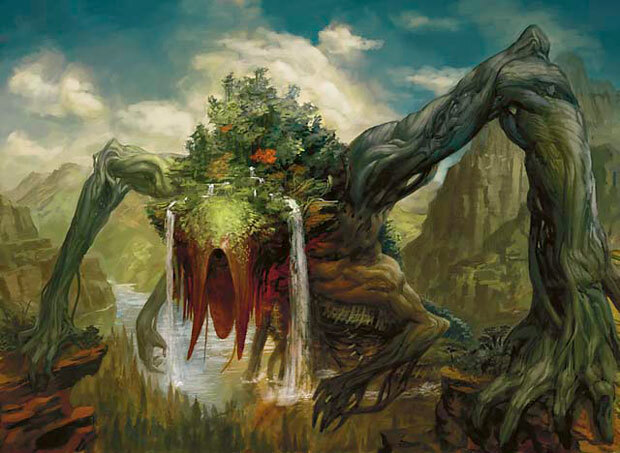 I understand that Hymn is a card that is relatively rare and quite powerful, but I have vivid memories of Fallen Empires being a set that was vastly overprinted and incredibly worthless. Why else would I have had so many of them from so long ago? Thank goodness I never throw out old cards, and thank goodness my wife keeps everything organized. Such price memories are from more than 15 years ago, but they still shape my interactions. I have a similar mental block on dual lands: I have trouble seeing that any are more than $40, because for a long time, they were that much or less. I’ve traded for cards at a certain price because I felt sure that’s what they were worth. After all, that’s how much they had been for the longest time! But when I get home and review my trades, I get annoyed to find out how wrong I was. I’m a cautionary tale. When you don’t check prices during a trad, it can come across as very egotistical, even belligerent. More than once I’ve assigned a value to a card, only to have that card be MUCH higher than I remembered. At best, that makes me look like a fool who can’t remember basic financial info. At worst, I appear to be some sort of slimy shark, undervaluing the contents of someone else’s binder. I have learned through experience that most of the time, my memory of prices is on the low side. I forget that Magic has grown at an incredible rate, to the point that for years, each big fall set was the best-selling set in Magic’s history. That’s amazing for a game twenty years old. I don’t account for the sheer number who get introduced to this game and dive right in, building Standard and Modern and EDH and Cubes and snapping up all sorts of older cards. My point is that when you’re trading without checking prices, you feel in control until you turn around and find out that your Urza’s Legacy copies of Rancor are significantly more pricey than any of the newer printings. If you’ve recently reviewed and memorized price points, work from memory. If you’re like me and have a difficult time keeping it all straight, bookmark mtgprice.com on your phone and let us keep you informed.